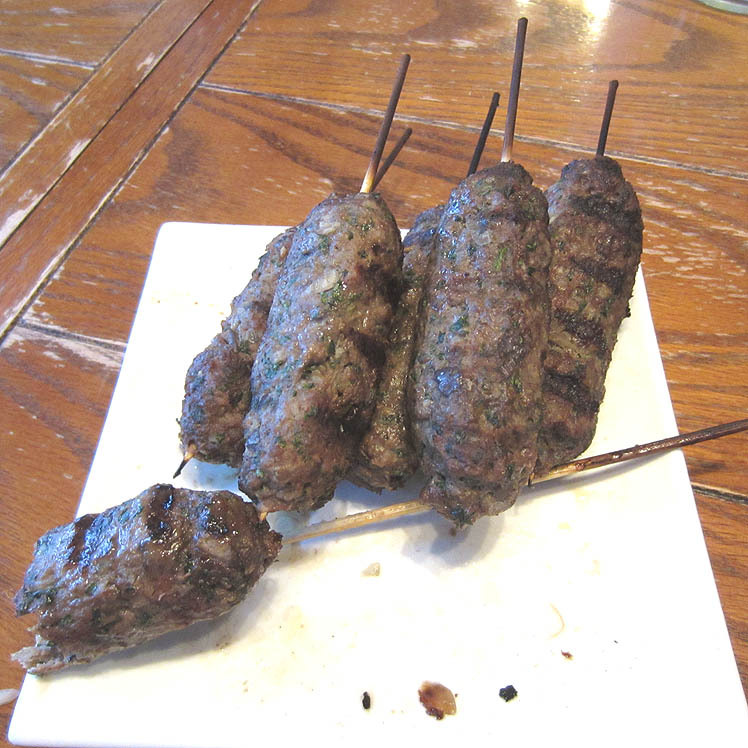 This middle-eastern dish may look like turds on a stick, but don’t be fooled. These cigar shaped kebobs are packed with flavor. 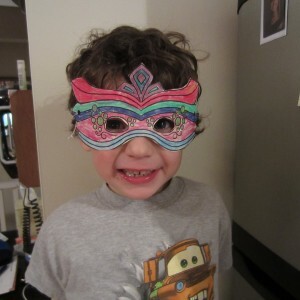 I recently served them as an appetizer at a dinner party with rave reviews. I love Mediterranean food so this received high scores from Blimpy Girl. I would love to take the credit for the recipe, but it was my honey man, the Wine Guy, who made the kebob mixture. 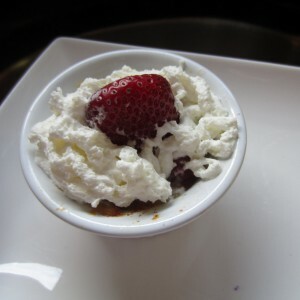 A garlic yogurt dipping sauce was prepared to enhance the flavor of the lamb and beef. One or two of these kebobs are filling. Paired with a salad, you may not need a main course. If you have the appetite of a horse, this may not be true for you. The kebobs were made with 1/2 lamb and 1/2 beef and cooked on the grill. Yes, yes, I know. It’s the middle of Winter here in Michigan, but we still cook on the grill if no major snow storm is fore casted. The kebob recipe is straightforward and shown below. 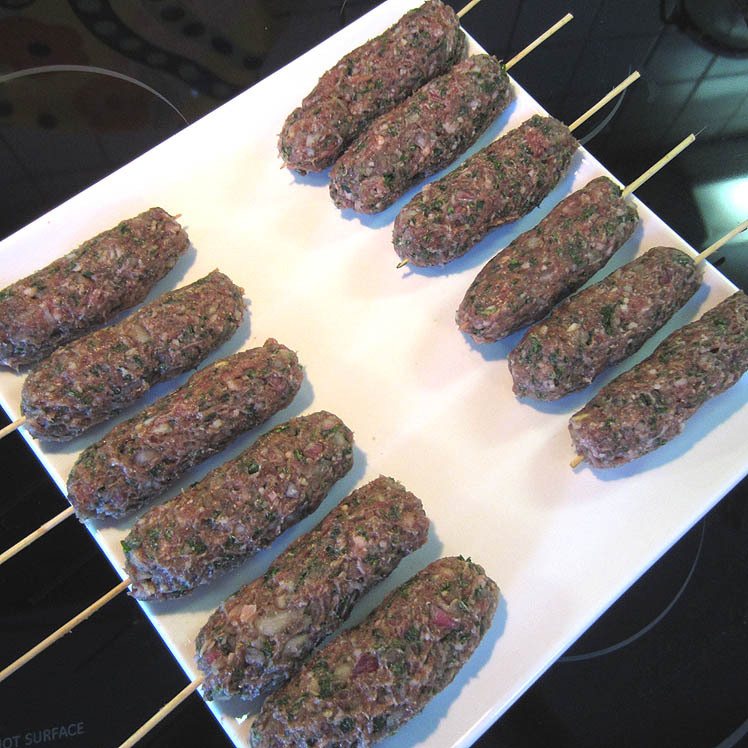 Make sure you press the kebob mixture tight against the skewer so that it sticks. Lightly wet your hands after preparing each skewer. As with all wooden skewers, soak in water for 10 minutes prior to using in an oven or on a grill. 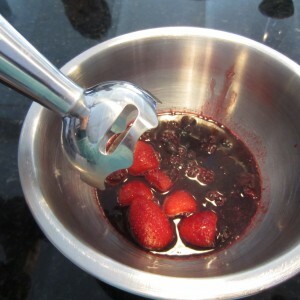 Mix dipping ingredients and set aside in the fridge until ready to serve. 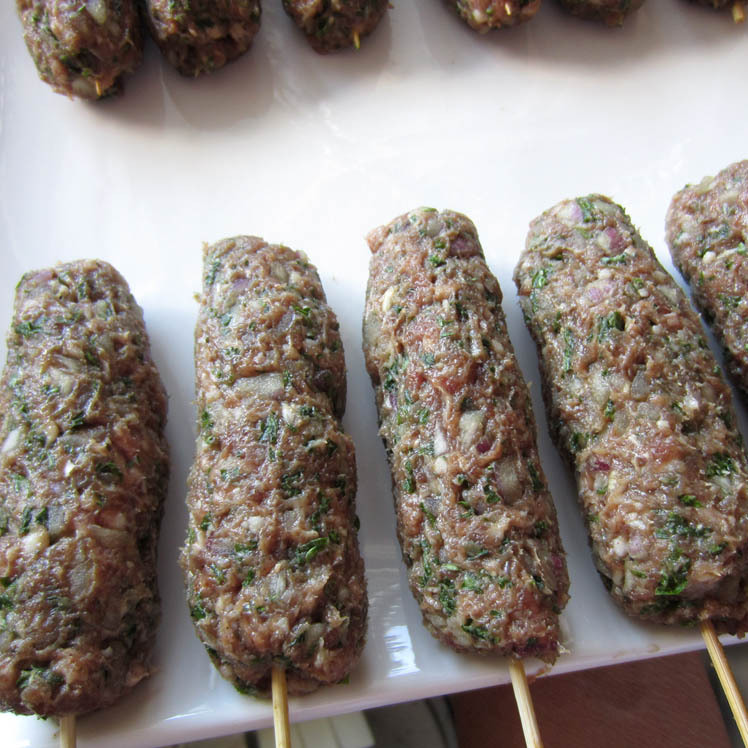 Mix all kebob ingredients to form a dough-like consistency. Press onto the soaked skewer sticks until you form a cigar shape. Lightly wet hands after each skewer. Grill for 20-25 minutes or until meat is cooked through. 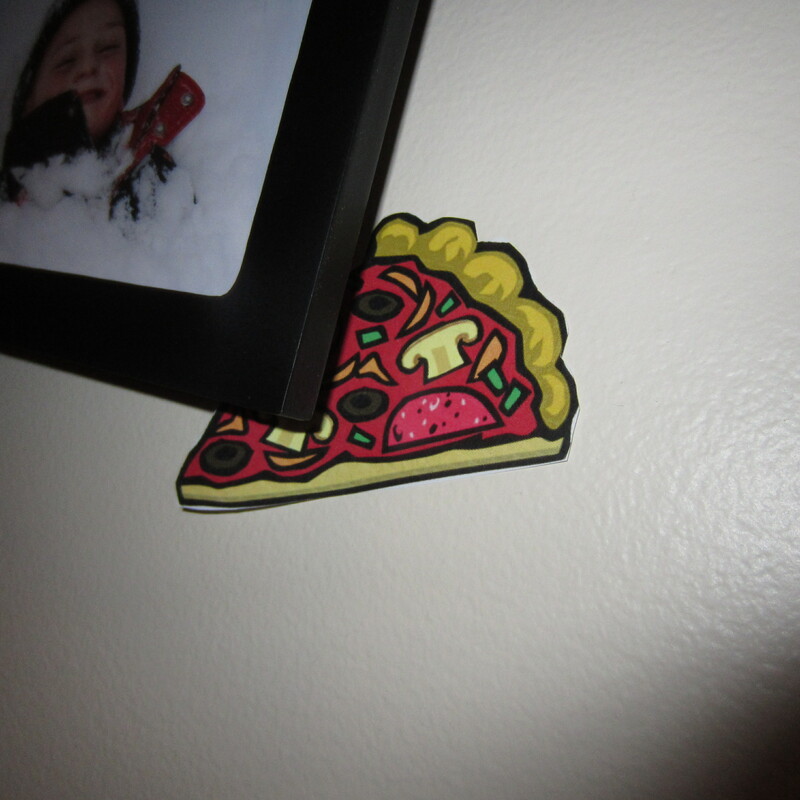 You can also bake in the 350 degree oven for approximately 45 minutes. I am soooo excited about the arrival of these new cookbooks. They are a gift from good friends, Kellie & Jefre, who live in Spokane, WA. This couple exemplifies a healthy lifestyle I can only hope to achieve. They ski, kayak, hike, eat healthy, garden with a purpose, and never waiver in their efforts to stay healthy. My husband had a tattered and torn copy of the Moosewood Cookbook. The new copy was a special treat for him as he has used many of the recipes from this book. 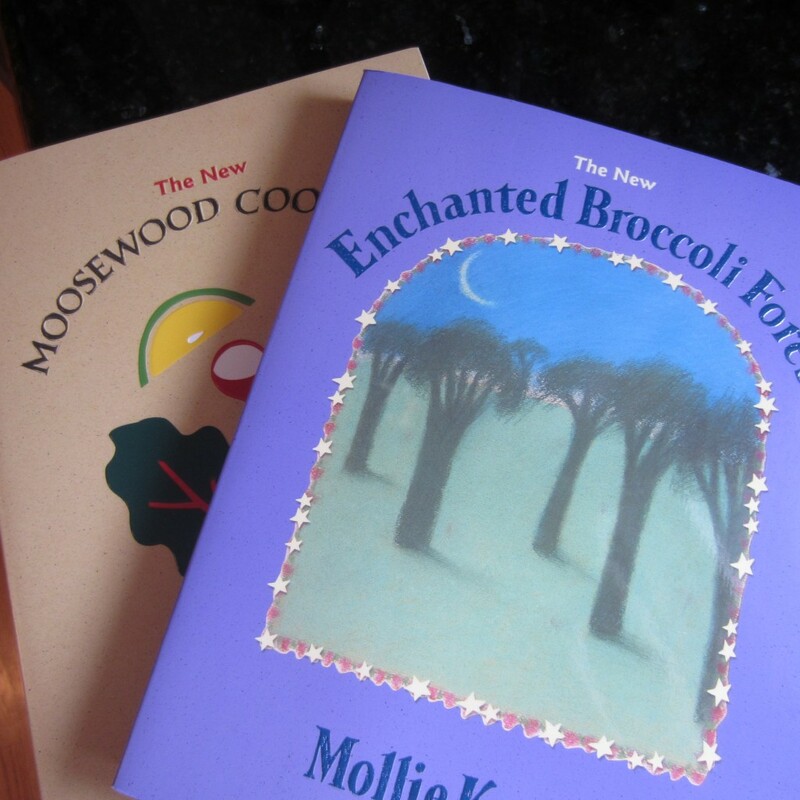 The Enchanted Broccoli Forest cookbook is new to both of us. This weekend, I hope to find time to browse and bookmark new recipes I would like to try. I already have my eye on a Savory Vegetable Cheesecake dish. I never thought I would enjoy the challenge of cooking. Yes, challenge is the right word! Considering I rarely (if ever) cooked before Blimpy Girl was birthed, I am actually having fun cooking and testing new recipes. If anyone has favorite recipes from either of cookbook, please share. At least three times a year my husband and I get together with long time friends for a joint dinner which includes a post-dinner soak in the hot tub. 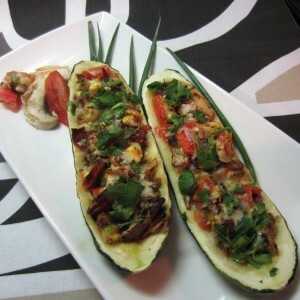 The host couple prepares the main course and the rest bring a side dish or dessert. Last night’s event was awesome and a reminder how connecting with lifelong friends enhances ones life. As couples, we laughed, shared stories, sipped wine, played Mexican train, soaked in the hot tub and appreciated friendship. The main course was chicken and beef fajitas (with all the fixins’), a smoked salmon & cucumber salad, Kafta Kabobs (appetizer) finished off with a cheesecake and chocolate fondue dessert. 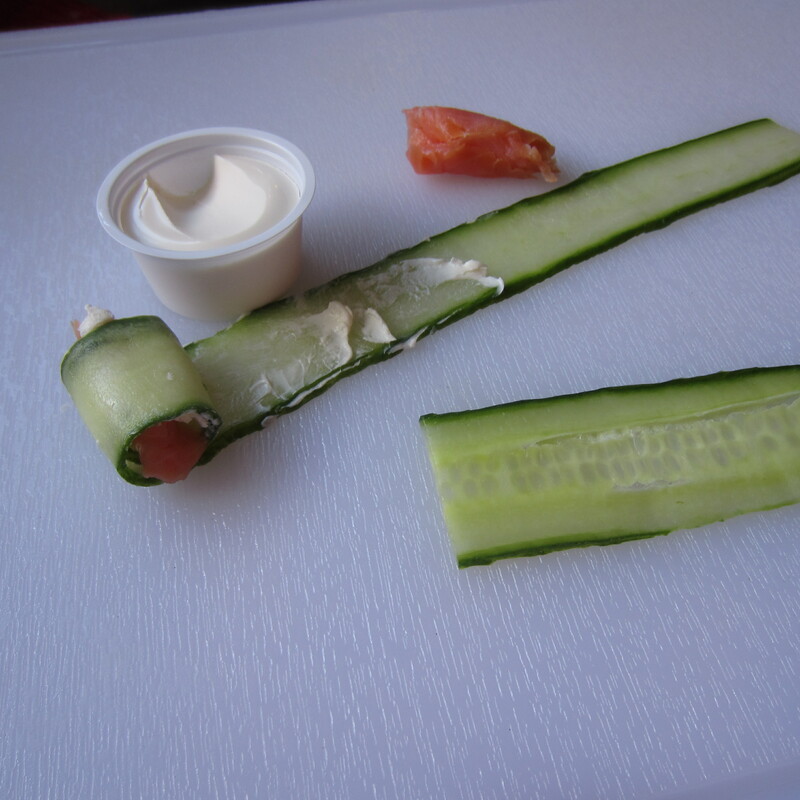 Blimpy Girl’s dish was the salmon cucumber salad. I purchased smoked salmon from Costco. 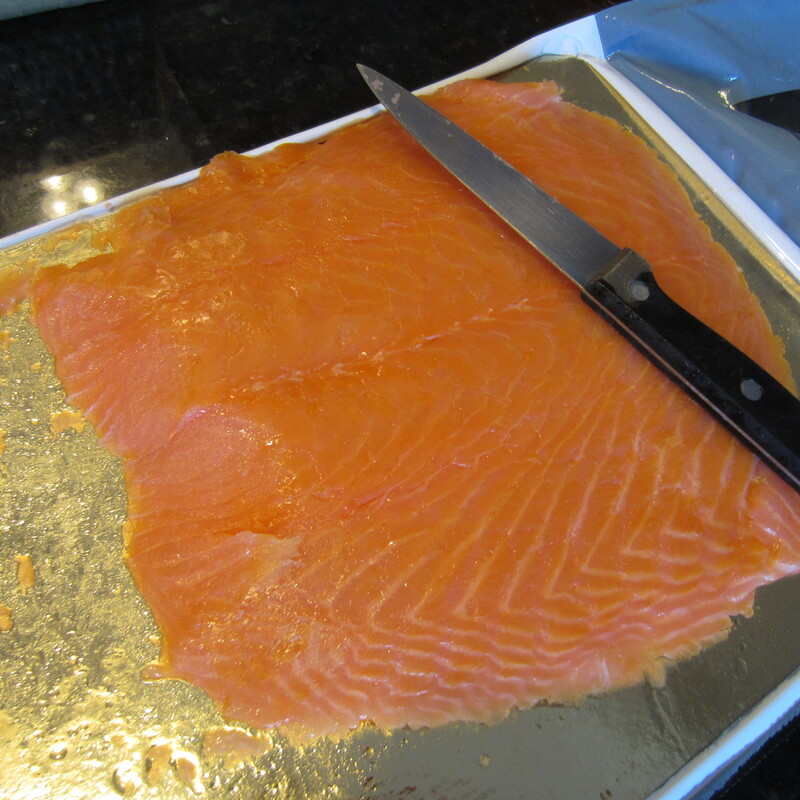 It’s imported from Norway and the ‘long-smoked’ process gives a nice delicate smokey flavor. Cream cheese is spread onto thinly sliced cucumber slices and rolled up with a chunk of salmon inside. Think lox! Cubes of chunky tomato, thinly sliced red onion, capers and toasted pine nuts embellish the bed of salad greens. A mandolin is handy when making the cucumber slices, but a vegetable peeler works well if you bear down on the cutting edge. 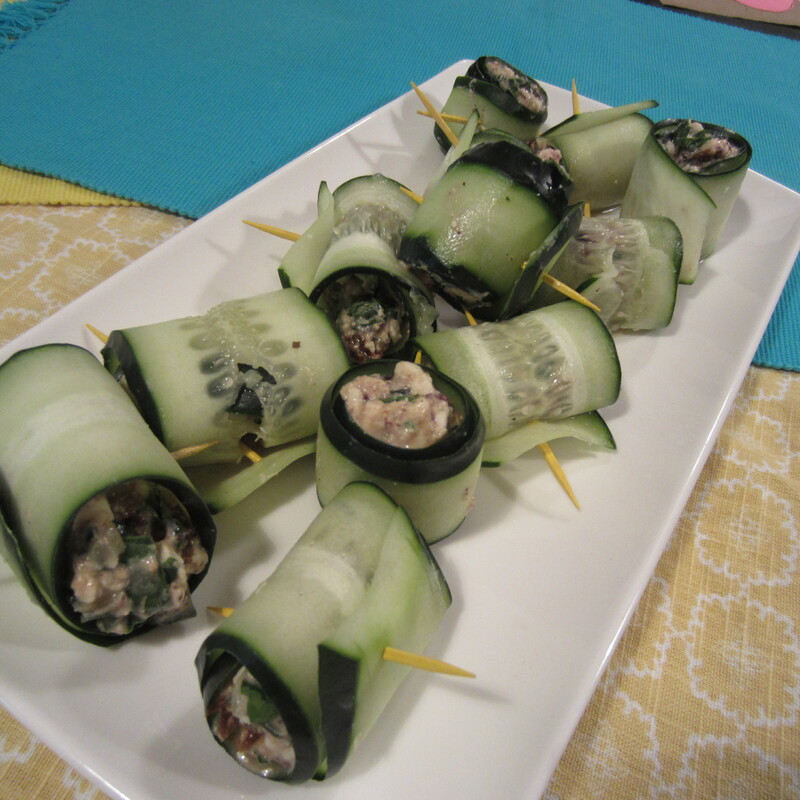 Spread cream cheese onto each cucumber slice, insert a piece of salmon, and roll. 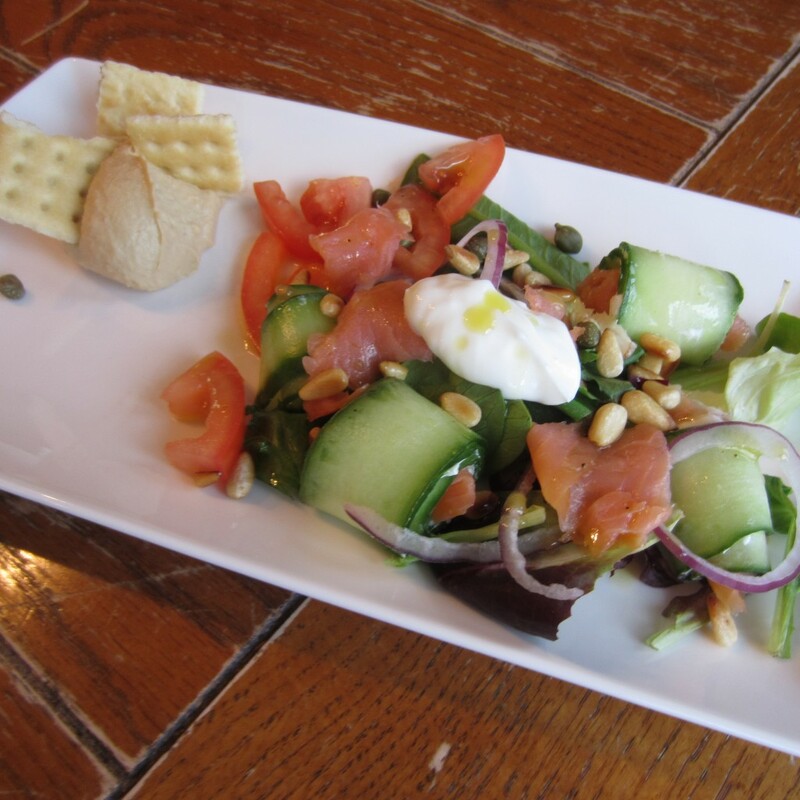 Each salad plate included 3-5 cucumber salmon rolls, 3 cucumber rolls with no filling, a bed of mixed greens, chopped tomatoes, thinly sliced onions, non-pareil capers, chunks of salmon throughout, sprinkling of toasted pine nuts and a dollop of low-fat sour cream. 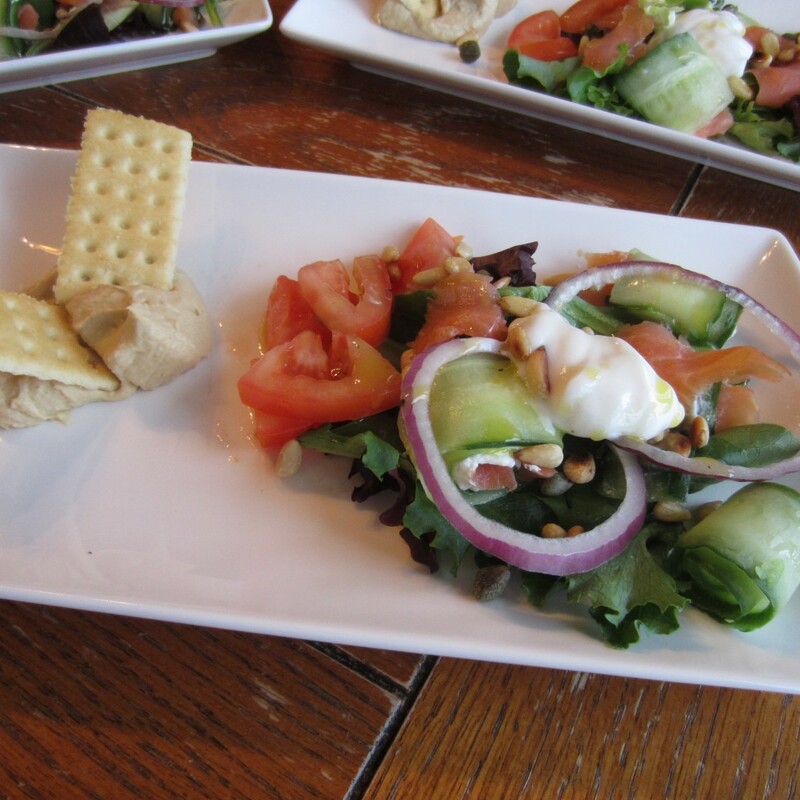 Drizzle a homemade olive oil & lemon juice vinaigrette over the salad and complement with a side of hummus and crackers. This recipe is a great way to use up left-over chicken. It’s quick, easy and tasty. I threw this meal together in about 30 minutes and served mock guack dip on the side. There really isn’t a recipe, per se, so I’ve listed what I included in my stir fry. You can switch it up to your liking. If chicken is not already precooked, chop into bite size pieces and place in a skillet sprayed with non-stick cooking oil. 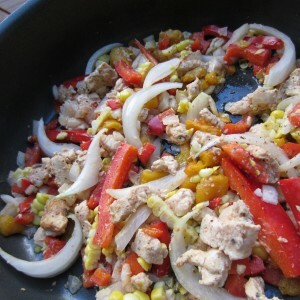 Cook over medium heat until chicken just starts to brown, then add the peppers, corn and onion. If using pre-cooked chicken, add after the veggies have started to cook through. Add taco seasoning to 1/4 cup of hot water and mix well. 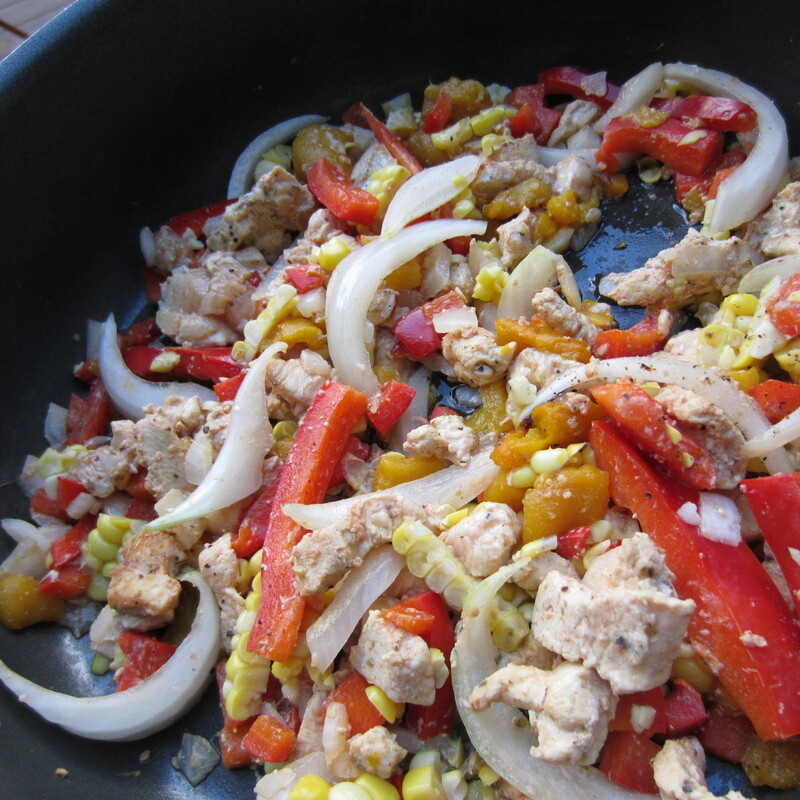 Pour into skillet and cook until the taco/water mixture is reduced and the veggies/chicken are cooked through. Remove from stir-fry from heat and drain off any extra liquid from the skillet. Spoon a 1 1/2 cup serving onto the bed of lettuce. Add a dollop or two of sour cream. This dish served two. Calories are in the neighborhood of 225 per serving. 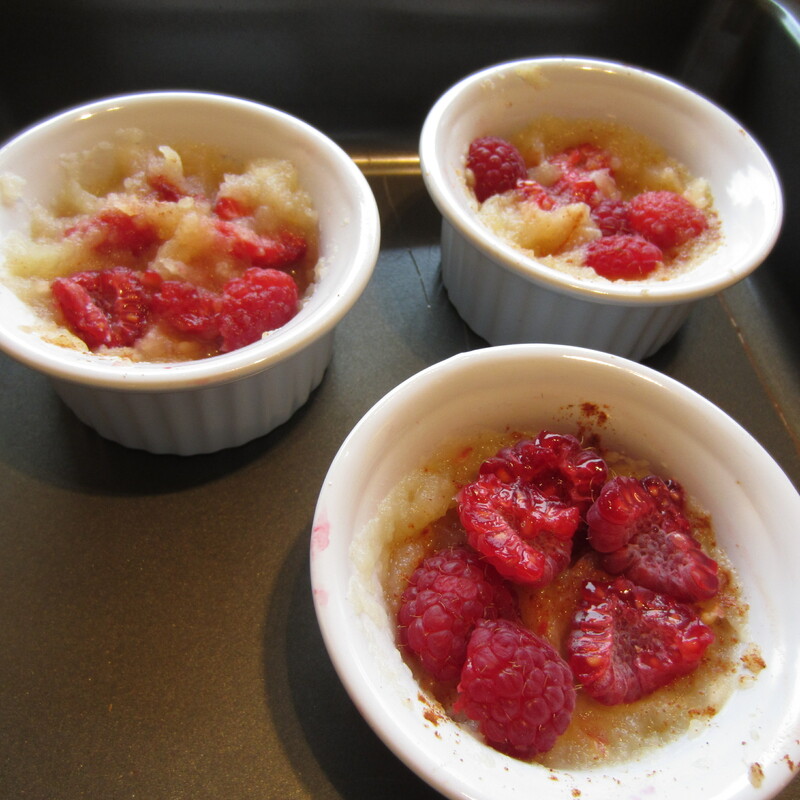 If adding 1/4 cup mock guack, plan on an additional 59 calories. 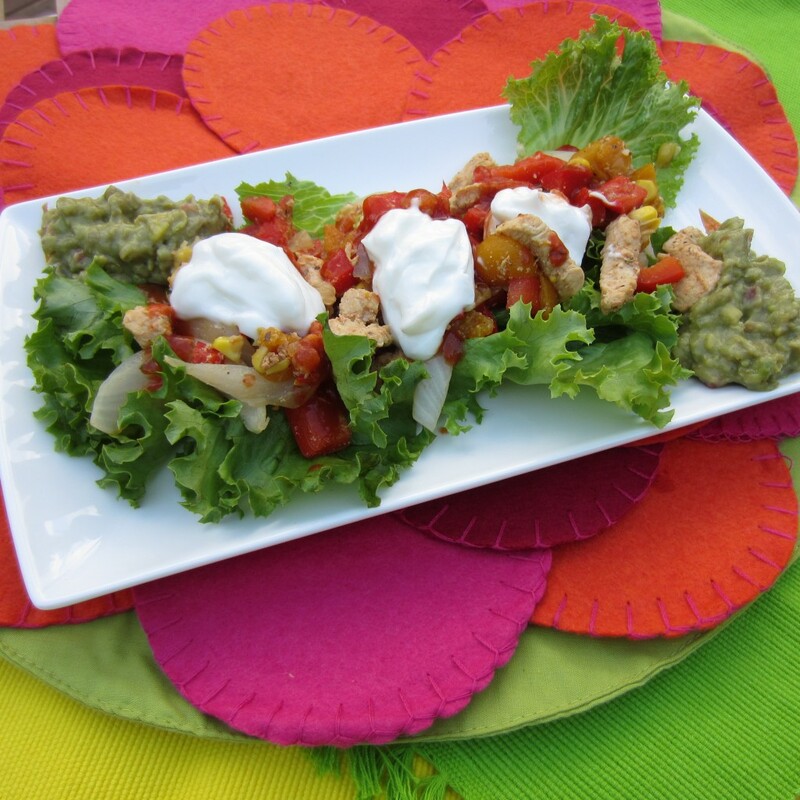 It’s a meal well under 300 calories that is healthy, low-fat and easy. The marriage of flavor and convenience makes it a great “on-the-fly” meal. The stir fry also makes a great filling for fajitas. It was my usual Wednesday (sleep-over) with the grand kids. 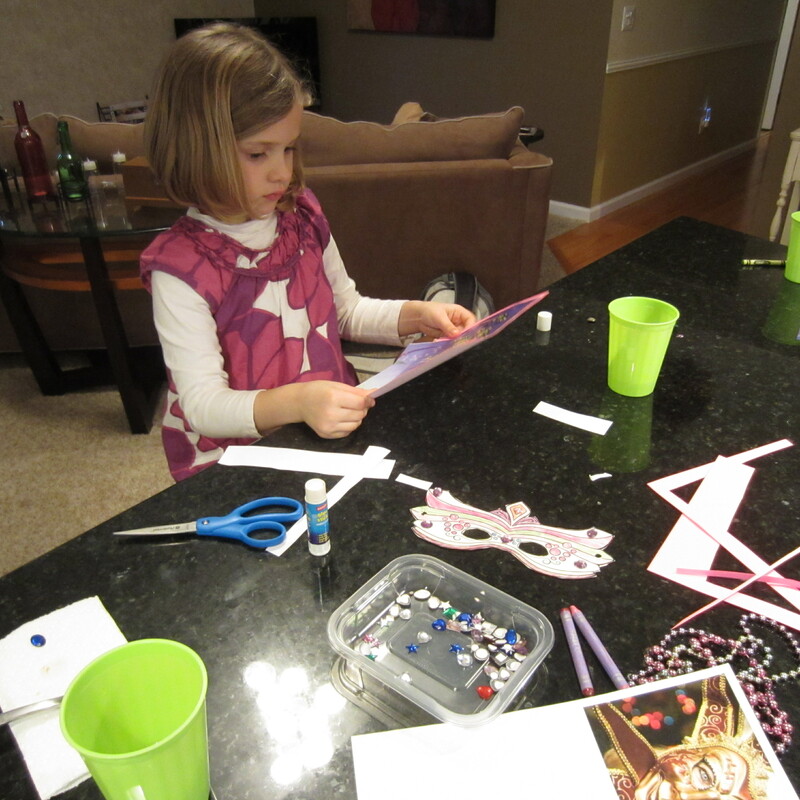 They drop book bags, hang coats, and run to the kitchen to see what Blimpy Girl NeeNee has prepared for dinner. This week I made appetizer-size chicken puffs. It’s a take off from another dish I’ve been making for the last 35 years called Chicken Balls. My family has tried to assign the dish a more appropriate name, but we still end up calling them chicken balls. I’ll share that recipe at a later date. The kids were hesitant about trying the chicken puffs, but within their first bite I knew this recipe was scoring big points. Shredded chicken, cream cheese, cheddar, diced apple and chopped spinach fill each puff. 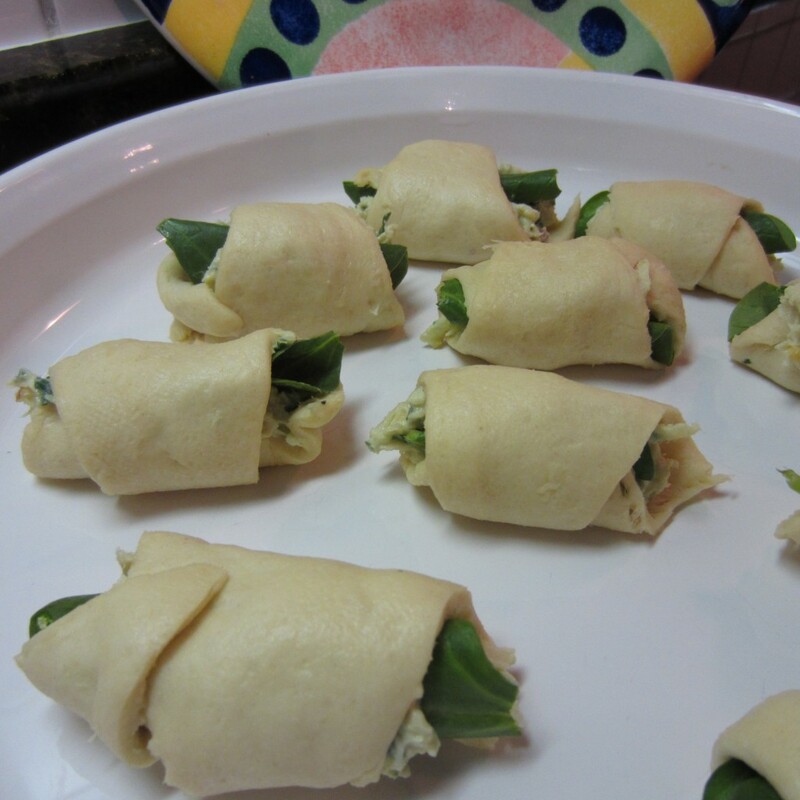 Believe it or not, my grand kids love spinach. I think they were happy to see it served differently. I usually plate it as a salad with ranch dressing. The recipe is easy and ready to serve in under 30 minutes. It also makes a great hot appetizer. The puffs can be prepared ahead of time and refrigerated until ready to bake. 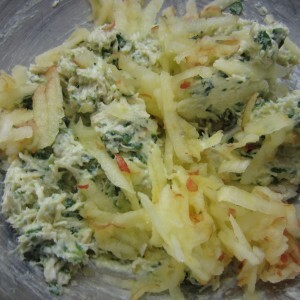 Combine chopped spinach, cream cheese, cheddar cheese, apple, chicken and seasonings in a medium size mixing bowl. Blend well. 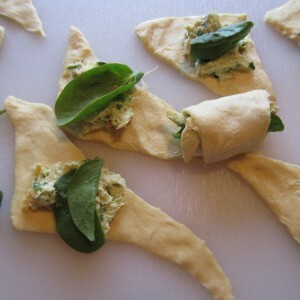 Unroll the crescent rolls and cut each triangle into two triangles. 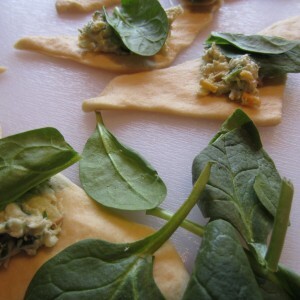 Place a heaping teaspoon of filling and one spinach leaf in the center of each triangle. Roll the dough around the filling. This recipe makes 16 chicken puffs, each in the neighborhood of 50 calories. Not bad! Six of these little guys can make a meal (at least for me). Add a side salad (fat-free dressing, of course) or vegetable dish to fill in the blanks. Warning: Chicken puffs hot from the oven can be addictive. You might want to keep count of how many you are popping into your mouth. I had a sudden energy burst last night and decided to use up produce about to kick the bucket. The wine guy (AKA my honey man) gets annoyed when throwing out food stuff I fail to use, but ask him to purchase. Since he was attending a wine dinner, I wasn’t able to share that I redeemed our kitchen produce from a trash can death. I can’t wait to showcase my cooking handiwork over morning coffee. I spotted one medium size zucchini in need of serious rescue. I was certain it would work well for my recipe. The size yieled more pulp and fewer seeds which was critical to my recipe idea. I washed and sliced the zucchini lengthwise. It was de-pulped (that means scooping out the innards with a spoon) and the pulp set aside. The zucchini bowls should be deep enough to house the filling. Dish is best served hot from the oven. If you plan to reheat and serve later, slightly under cook the dish and reheat in microwave in short bursts. What a refreshing salad course or appetizer dish. 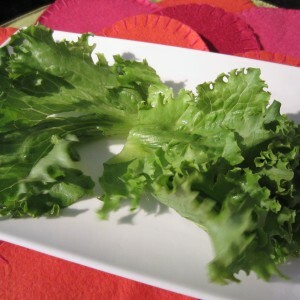 If using as a salad, arrange two cucumber rolls-ups on one leaf of Romaine lettuce. For pizzazz and color add a couple Romano tomato slices or grape tomatoes and lightly drizzle with a fresh vinaigrette basil dressing. 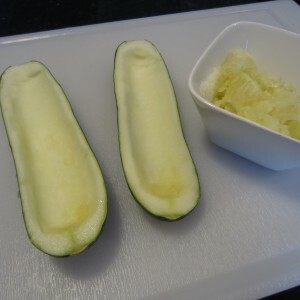 Seedless cucumbers are the first choice, but if not available use a traditional slicing cucumbers. The feta mixture is placed on each cucumber slice and then rolled. A toothpick keeps everything in place (gotta love those toothpicks). 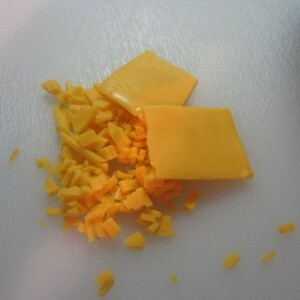 There are couple of tips when making the filling. 1 ) Do not use sun-dried tomatoes packed in oil. The oil will make the filling runny and soggy. 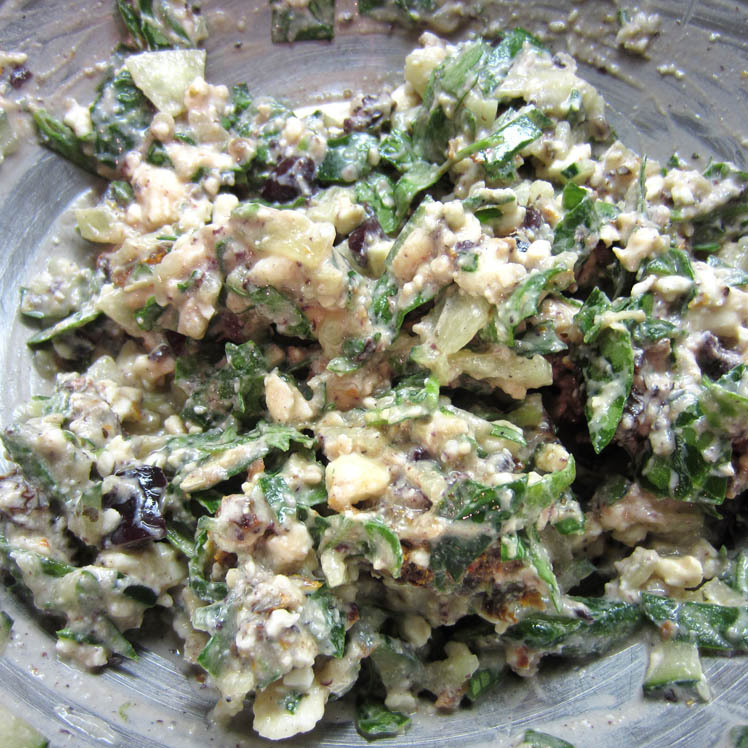 2) When adding Kalamata olives, drain and rinse thoroughly. Pat dry before chopping. 3) Use ONLY fresh spinach leaves. 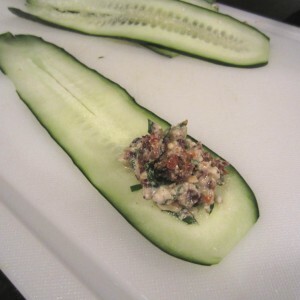 Other appetizer ideas include spooning the mixture onto round cucumber slices (a melon baller works great) or toasting thinly sliced baguette bread in the oven. 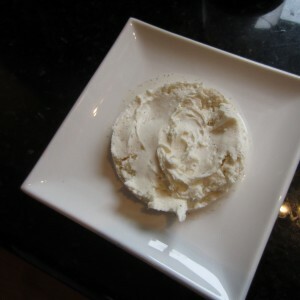 Spread feta topping on toasted bread slices. 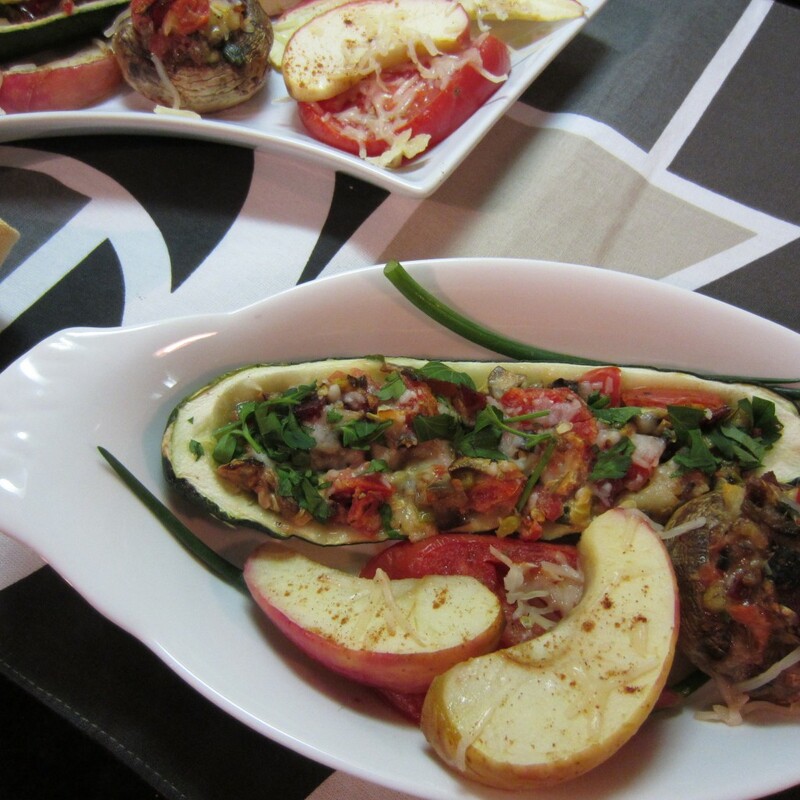 Garnish with a sliver of red bell pepper. Tomorrow is Valentine’s Day. 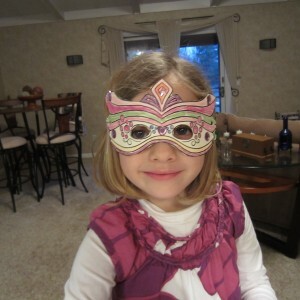 The grand kids are here for an overnight while Mommy and Daddy enjoy an extended snowmobile weekend in Michigan’s UP. This gummy fruit ice cream dessert is on the menu for the grand kids tomorrow. Heck, I might even serve it over pancakes. 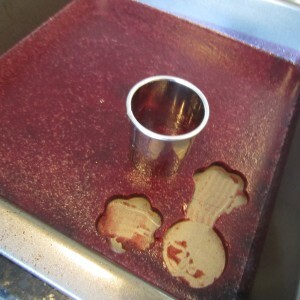 NO, NO, NO… the beet colored cut outs on the ice cream ARE NOT BEETS. The stacked cut-outs are actually a gel mixture made with blackberries, strawberries and blueberries. 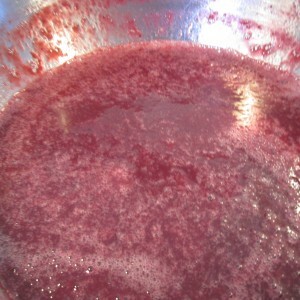 Emulsify the mixture and pour into an 8 x 8 pan and refrigerate overnight. 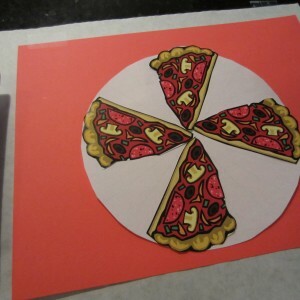 Remove from fridge and cut out desired shapes with cookie cutters. 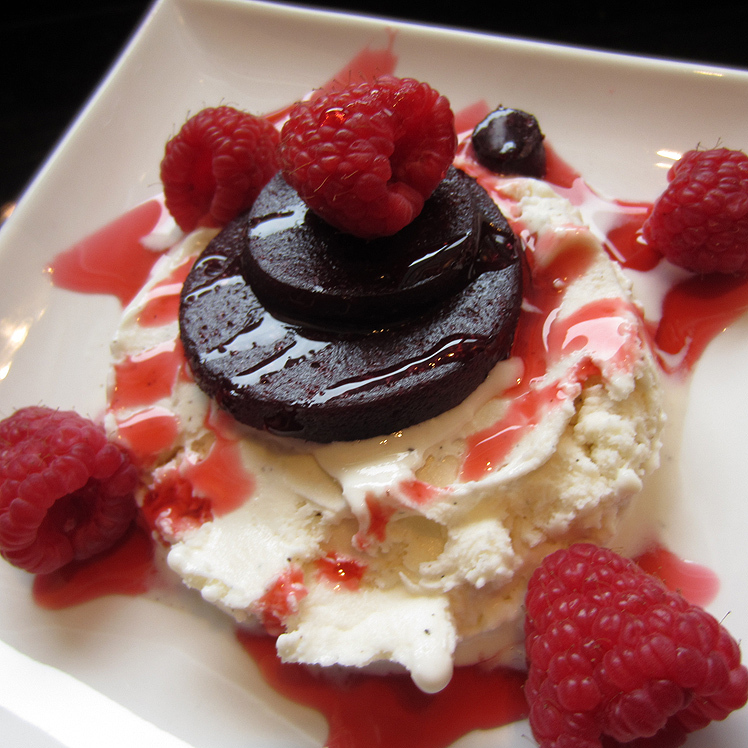 Use a 3-inch round cookie cutter to make the vanilla ice cream patty. Place cut out gummy shapes on top and decorate with a splash of strawberry syrup. Place in freezer until ready to serve. I’ll get the recipe posted in the next day or two.